In Nevada, the state’s Department of Wildlife employs game wardens at the state level. Nevada is home to diverse big game species that draw hunters from around the world. In fact, hunting contributed more than $335 million to the state’s economy in 2011 alone. The popularity of hunting in Nevada provides some of the primary law enforcement duties of the state’s game wardens. They monitor hunters to ensure that the big game being hunted is located in areas where hunting is legally permitted. In addition, Nevada’s game wardens investigate poaching and other types of wildlife crimes. The job of a game warden in Nevada is challenging. Experienced wardens may be responsible for monitoring as much as 10,000 square miles. In fact, game wardens may be the only law enforcement officials to patrol some rural areas. Game wardens in Nevada also apply their knowledge of conservation by tracking the migration of birds and mammals. These professionals are skilled in collecting data on wildlife populations and natural habitats. Given the demand for the limited number of game warden positions in Nevada, there is strong competition for these jobs. Applicants can enhance their chances of being hired by understanding the requirements and hiring process. Read more to learn about game warden jobs in the state of Nevada. Men and women who couple a strong sense of justice with an enjoyment of the outdoors are well suited to pursue a career as a Nevada Fish and Game warden. Such careers provide many opportunities to help the public. In addition to their law enforcement duties, Nevada’s game wardens provide information on fishing and hunting to the public. Part of this involves promoting and coordinating hunter education classes along with training the public on firearm and boating safety. These game wardens also plan media and radio addresses and speak publicly to advocate for Nevada’s natural habitats. Being responsible for so many facets of wildlife management makes it particularly critical for applicants to be prepared to showcase their skillsets. Shown below are the minimum qualifications required by the Nevada Department of Wildlife for its game wardens. Citizenship: Proof of U.S. citizenship or of permanent resident alien status who is eligible and has applied for citizenship; proof of residency within the state of Nevada is also required. License: A valid Nevada-issued driver’s license is required. Individuals must agree to participate in driver safety training through the state as opportunities arise. Academic Credentials: High school diploma or GED; a four year college degree in criminal justice, biology, or wildlife/natural resources management. Law enforcement experience can be an equivalent substitute for a degree. Medical Condition: The applicant must be examined by a licensed physician and produce a signed affidavit indicating that they are able to physically perform the duties of a wildlife officer prior to employment. Candidates are also subject to drug screening and a polygraph test. Vision: Visual acuity corrected to 20/20 in each eye. Normal color vision and possessed of a standard peripheral field of view. Applicants who have undergone corrective eye surgery to meet minimum visual standards may be required to submit additional information. Physical Readiness: The candidate must be in good physical condition and possess the ability to perform the listed job requirements. Nevada’s game wardens are among the best paid in the nation. 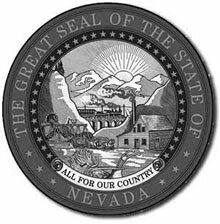 The Nevada Department of Employment, Training and Rehabilitation reported that both the overall average salary and the average salary for those in the top 10% exceeded the national average in each category as of 2016. That year, Nevada’s game wardens earned an average of $60,100 ($28.90/hour), while the most experienced in the state (top 10%) earned an average of $79,290 ($28.12/hour).